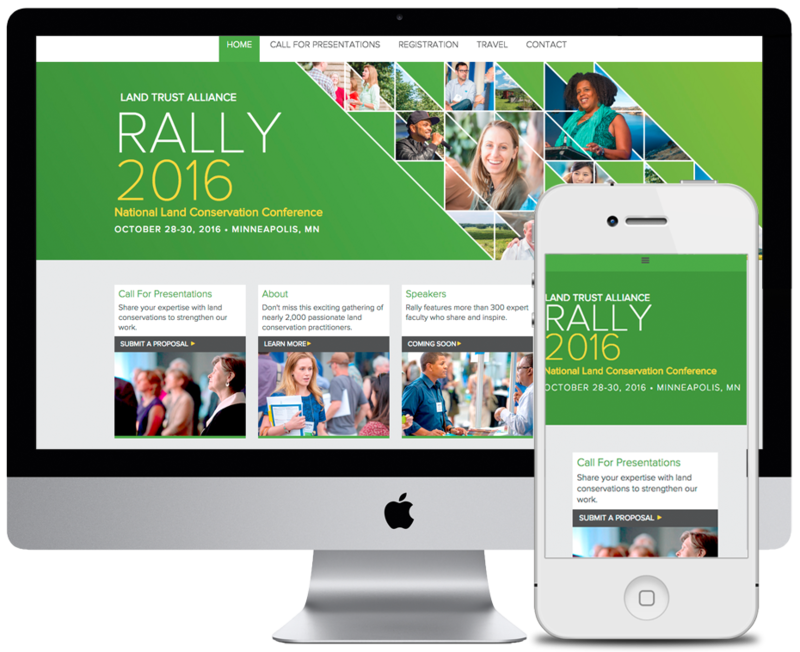 The Land Trust Alliance came to us when at the end of their rope with their existing website for their annual conference Rally. Their prior website was built on a pre-bought theme and was having multiple issues with rendering and functionality which resulted in visitors not being able to see the schedule or retrieve important conference details. We completely custom coded and redeveloped the website using Wordpress to meet their specific wants and needs. The home page is engaging and offers plenty of room to promote the various parts of the conference details throughout the year. They have a "pre-launch, "launch" and "post-launch" phase and customize the different areas for each to keep interested parties engaged all year. This was the core element of the website and is 100% completely custom coded for fastest loading, filtering and ease of use. No bulky plugins or scripts to weight down the site speed or cause compatibility issues. Built using custom fields and using tags and categories for filtering in a variety of ways - the schedule has been well received and has had no down time since its launch. 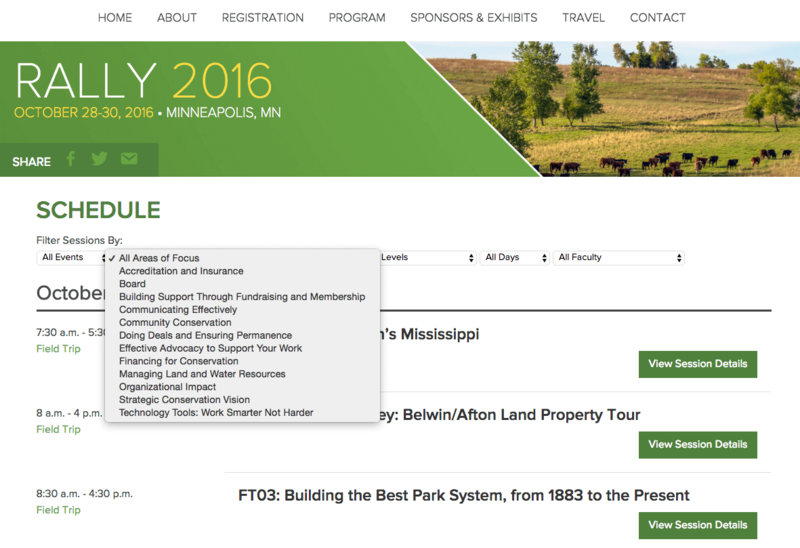 Utilizing toggles for each session keeps the page clean and allows for an easy at a glance view for attendees.